To long is to yearn for something or someone separated by distances in time and/or space. And they all say your name explores the subject of longing for a moment in time or place through light: an energy that is momentary and transient. 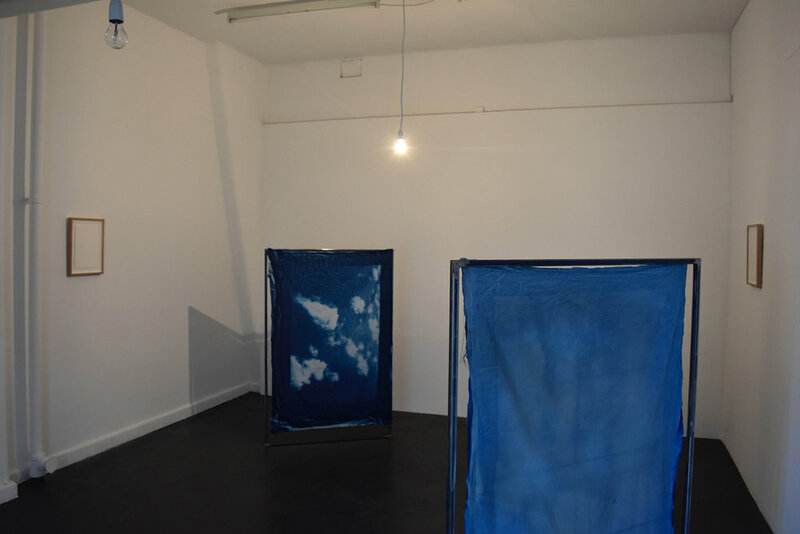 Both artists utilise their time-based practices to create works that reflect their personal histories, connections and the ties that bind to the past, present and future. And they all say your name acts as a space for all of these oppositional structures to meet; the passing of time and memory, the spaces between, and the growing distance naturally created between people expressed through the temporal qualities of light. Talia Smith is an artist and curator from New Zealand but is now based in Sydney, Australia. Her photographic and video practice explores memory, time and ruin through the photographic medium and man's relationship to the landscape. She has exhibited widely throughout Australia, New Zealand, Germany and New York. 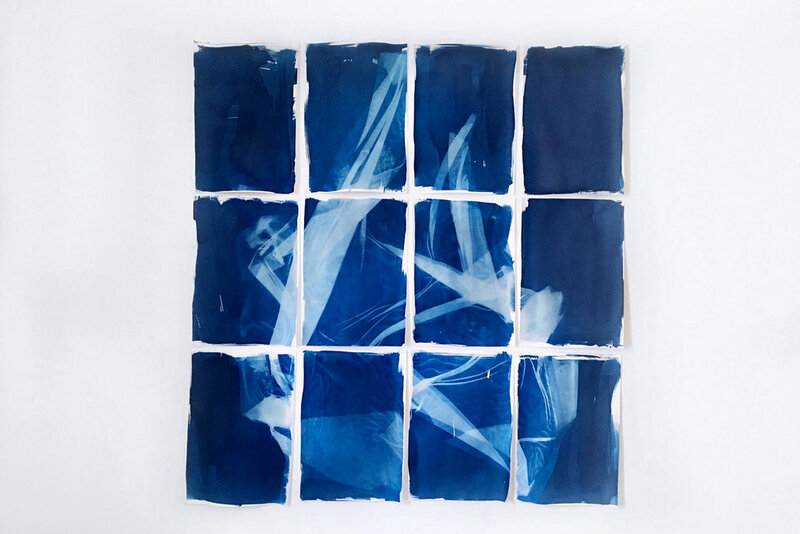 IMAGE | Talia Smith, Drink Deep, 2018, Cyanotype on watercolour paper, Dimensions variable | Zainab Hikmet, Here and there, 2015, two incandescent bulbs synchronised to sun patterns in Baghdad and Auckland, dimensions variable. Photo Jessie Jane | Courtesy the artists.